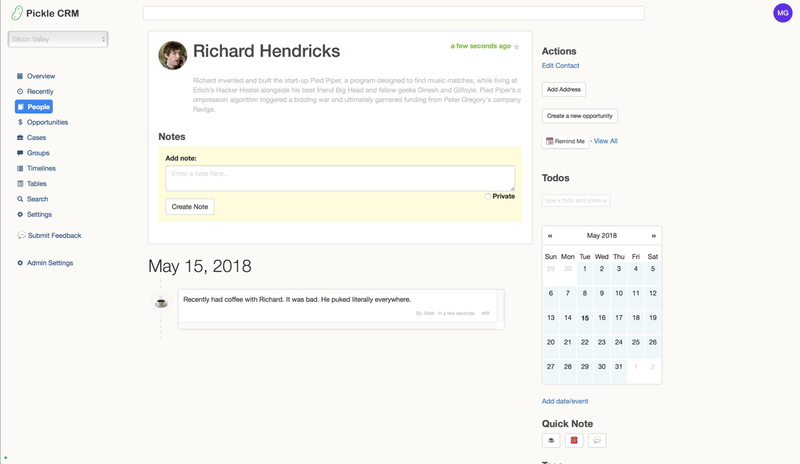 A smarter and more connected address book for you and your team. Bring everything in one place: files, contacts, notes, and so much more. New: Power up your lead generation with Pickle! View everything about a contact all in one place. So many businesses run into the same problem: Customer information is everywhere and cross referencing it is a nightmare. Don't run around like a chicken with it's head cut off. You're better than that. When everything is in one place, you and your team will spend less time figuring things out. No more missed information, you'll spend less time digging through email, and you'll get a full 360 view of your customer. Invite your team to share on the knowledge. When everyone's able to be on the same page about customers, better and smarter decisions are made. You'll spend less time figuring things out about your customers and more time getting things done. You'll be surprised how liberating it is. The main problem is that stuff is scattered everywhere.You and your team have your own database of metrics, an analytics platform, a payment processor, support tools, email, files, and so much more. Knowing where to look is not only a headache, but a waste of time and energy. Pickle solves that problem by bringing everything into one place and integrating with your existing tools. 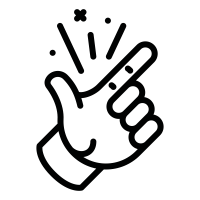 Our customers use Pickle with their startups, SaaS products, real-estate clients, freelancing, and entrepreneurial endeavors. We use Pickle to help us know who are customers are and communications we've had with them. It let's us keep everyone on the same page, and gives us a birds eye view of our customers. Don't worry about running out of space. We've got tons of it for you and you can alway upgrade. Your data is backed up and password protected. Email attached files remain private to your account. Contact management, files, magic email and much more! Send messages to one or one hundred contacts all at once. Replies only go to you, so no one gets bombarded with annoying group messages. Organize anything into a case and share with others. Files, emails, notes, and people make up great cases for staying organized. Organize files, people, emails, notes and more with deals. Winning never felt better. 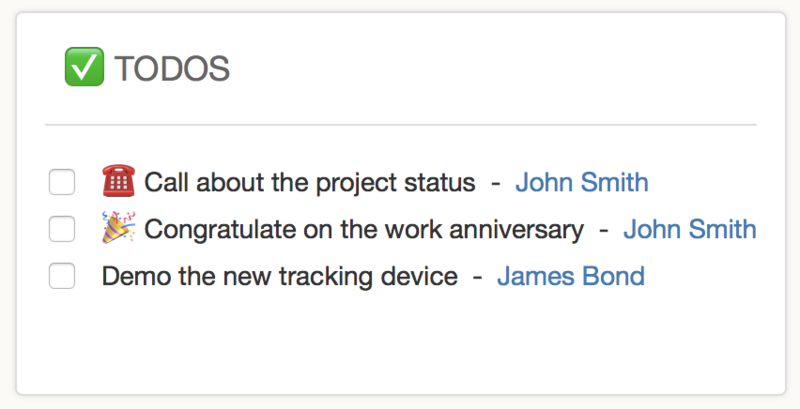 Keep you and/or your team in the loop with notes. Check up on your last conversation, thoughts or notes with a contact at any time. Check Pickle before your next meeting. You may not have been in touch in 6 weeks, but you'll be up to speed like you connected yesterday. Attach messages to cases, opportuniites, timelines, and contacts. 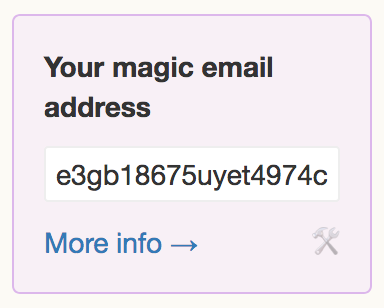 Use your magic email address to create contacts, automatically create notes, and securely store files/attachments. 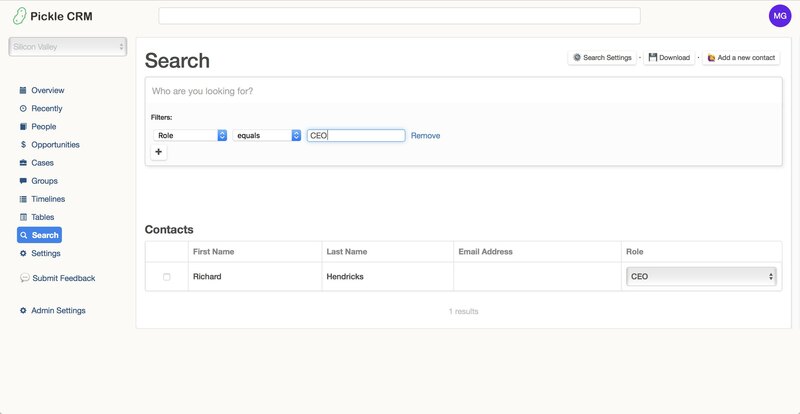 Instead of manually entering contacts into Pickle, you can easily and automatically create contacts by using Magic Email. Simply send an email just like you normally would, and boom—they're now in Pickle. Plus, if you send any files or attachments, those get included for easy future reference, too! Know what needs to be done with Todos. Create todos that are attached to people. View the contact's calendar to see what's coming up. 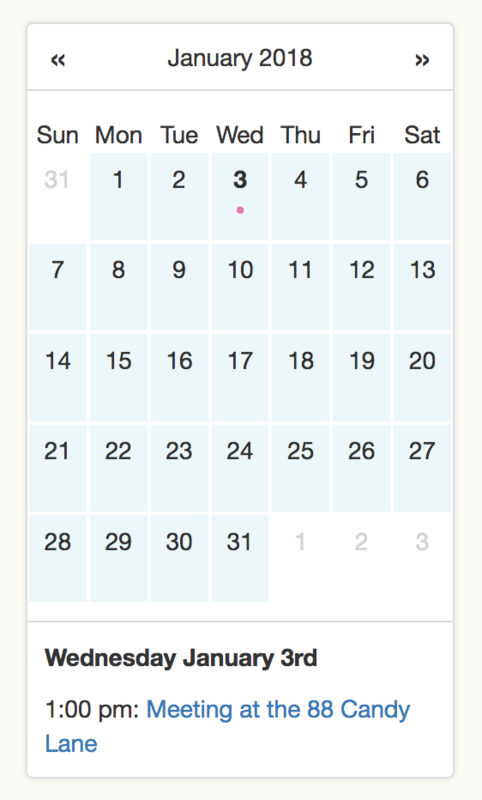 View dates on the contact's calendar and the next 7 days on the dashboard.